An international report comparing the stay-rate of foreign students after graduation, has criticized the Netherlands for its legal barriers that deter businesses from hiring international students. “Small businesses hardly hire international students, partly because of the substantial processing fees collected by Dutch immigration authorities,” reads the report by Research Unit of The Expert Council of German Foundations on Integration and Migration who did a survey at the end of 2014. The report compares the post-study stay rates of international students in 4 different countries – Canada, Germany, Sweden and the Netherlands - and evaluates how effectively these countries facilitate students’ transition from university to the labour market. 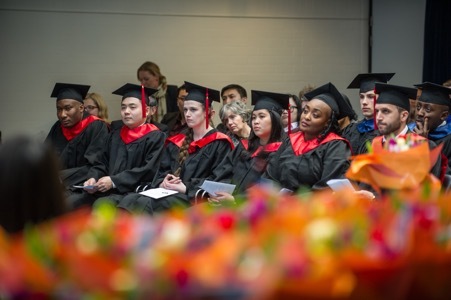 A Dutch survey in 2013 showed that 70% of international students wish to remain in the Netherlands after completing their studies, but a mere 27% actually do. Wittenborg University actively campaigns for its students to stay and find employment at Dutch comapnies and is working hard with its local partners to try and secure more jobs for international graduates. Many of its graduates however have an international focus, and although often don't return directly to their home countries, often find employment in third nations. Wittenborg is looking at the recomendations in this report to improve its services for international graduates, with language skills being top of the agenda. While 48% of large businesses and 40% of medium sized ones are actively hiring international students in the Netherlands, only 16% of small businesses (who has between 10 – 49 employees) are interested. Nonetheless, Dutch medium-sized companies outperform their counterparts in Canada, Germany and Sweden when it comes to hiring international students. The report recommends that policy makers consider whether their legal restrictions - like length of job search period - is in line with labour market needs. For instance, in the Netherlands the maximum length of the post-study scheme allowing graduates to look for a job is 12 months. In Sweden it is even shorter – 6 months – compared to 18 months in Germany and 36 months in Canada, depending on the length of the study programme. According to the report international students are increasingly regarded as the “ideal” or “designer” immigrants for the labour markets in their host countries and presumed to mitigate future talent shortages. In the Netherlands there has been a 35% increase in international students from 2009 – 2013, while in Canada and Germany rates have almost doubled. Given these developments many countries, including the Netherlands, have in recent years passed legislation to improve post-study work options. However, despite reforms and a high willingness to stay on the part of students, many still struggle to find employment. For instance, In Germany - considered to have the most generous post-study options - almost a third of former international student are still searching for a job more than a year after graduating. While all 4 countries have liberated their migration policies for international graduates, none of them issues a so-called“blank cheque” to those willing to stay. International students appear to face the biggest obstacles during their initial entry into host countries’ labour markets. The report also states that only 28% of Dutch and German Higher Education Institutes (HEI’s) collaborate with local businesses to organize mentoring programmes, internships and other sort of professional support for international students. Many industrialized countries are projected to suffer a demographic decline in their working-age populations, but none of the profiled 4 currently experience comprehensive national shortage of skilled labour. Shortages are mostly limited to regions, sectors and occupations. Germany is considered an exemplary country in the diversity of the international students it recruits, hence it is foreseen that it will not be affected severely if an unforeseen crisis hits a key source region. Insufficient language skills: In the Netherlands, Germany and Sweden more than two-thirds of higher education staff members name language skills as the single biggest barrier for international students. Most companies expect their employees to be able to communicate in the language of the host country. Lack of host country experience: Many international students are poorly informed about employment opportunities and the workplace culture in their host country and the area where their study institute is located. Apart from lack of professional networks, many students do not know which job search strategies to employ. Hesitant employers: This is especially true for small businesses which are often unaware of the international talent pool that is available on their doorstep. Apart from being perceived as an administrative burden, international students are sometimes regarded as high risk employees who might leave the company at short notice. Some employees even suspect that international students could pass on classified information! Lack of personal and professional networks: Many international students have strong networks in their home countries, but these are of little help in their host countries. Lack of job entry support: Only a handful of Higher Education Institutes understand that work experience is an integral part of studying abroad. A high number of international students are not satisfied with the career support they receive from their institutions because only a few offer a one-stop shop. As a result, many services are accessed too late. Legal barriers: Dutch respondents to the survey have criticized the administrative and financial obstacles for international students and employers who want to hire them. Dropping out as a general obstacle: Access to post-study schemes in the 4 participating countries are only open to international students who have successfully completed their study programmes. Students who drop out early are obliged to maintain a lawful status through other immigration channels. For them, finding skilled employment without a degree is an even bigger challenge.